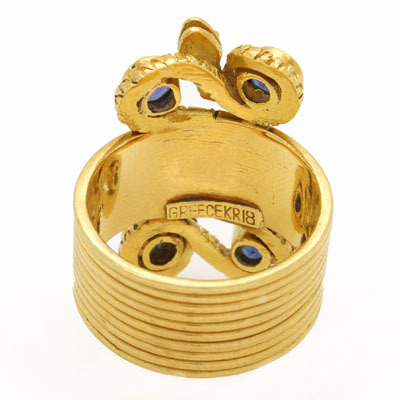 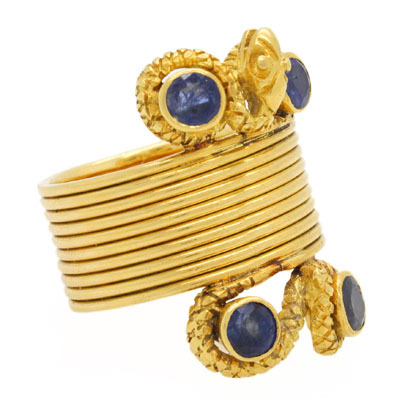 Snake Ring With Sapphires In Yellow Gold at Reliable Gold Jewelry in Rhode Island Reliable Gold Ltd. 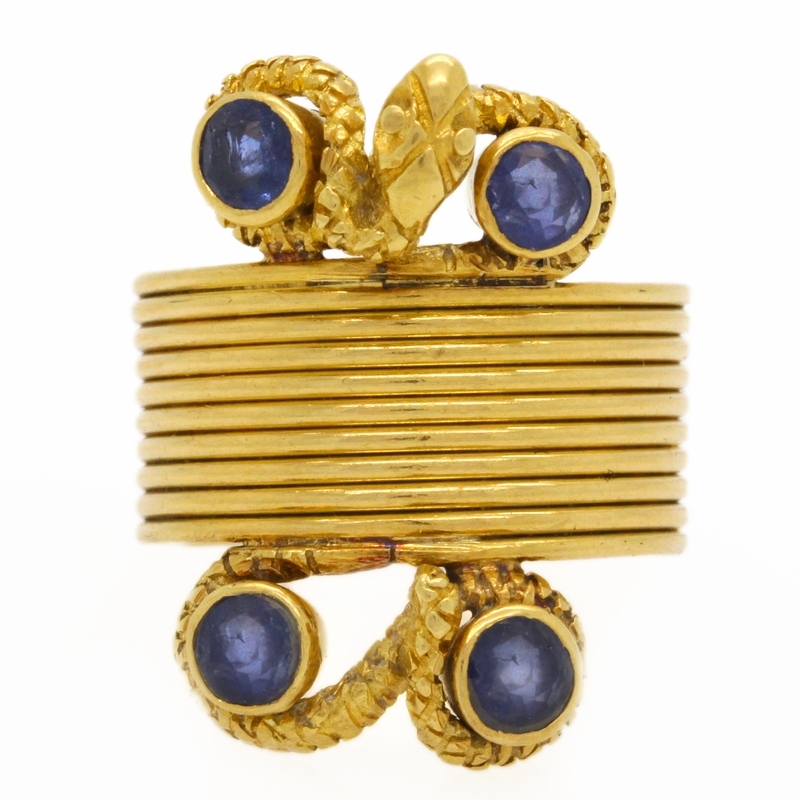 Highly unique and beautiful take on the snake ring made in Greece with wide coiled 18K yellow gold band and four bezel set sapphires. Approximately 1 inch at its tallest point and 10.4 grams.